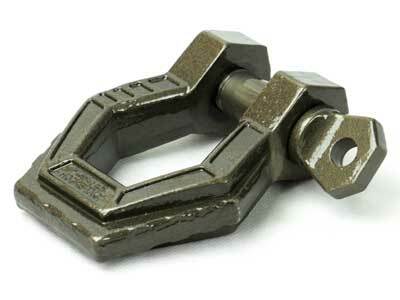 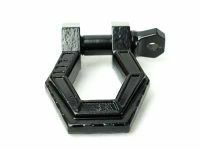 The MONSTER Bow Shackle is made from 4140 forged, heat treated steel, Our shackles are stronger than any equivalent size shackle in the industry. 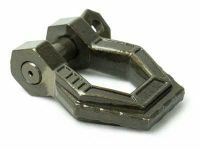 To ensure the strength in our forgings, we have made sure that the grain flow runs in the same direction and that the gusset surrounding the perimeter of the shackle gives the strength that is unsurpassed by any in the industry. 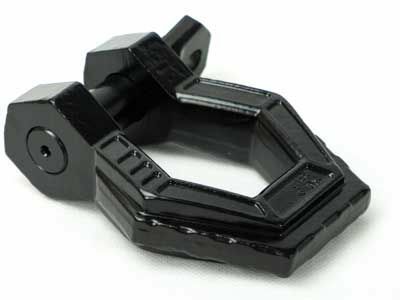 Gusseted design for superior strength over conventional shackles.